The Variable Oyster Catcher or Torea-pango (Haematopus unicolor) has forms that can be all black, or have white areas on the ventral surface. It is a wading species of the family Haematopodidae. It is also endemic to New Zealand. It is a common species and not threatened. 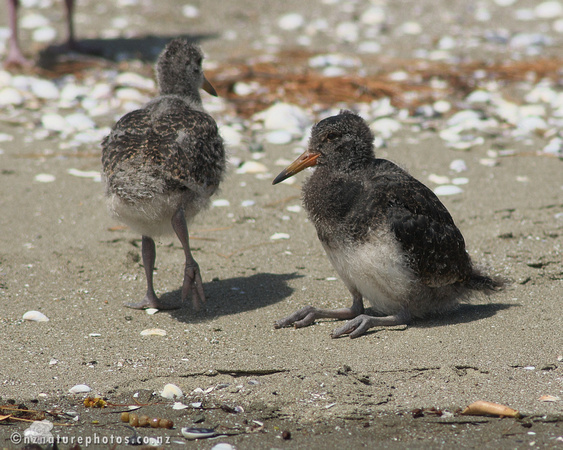 These juveniles were on a beach at Waiheke Island. I used a kayak to drift close to their position.